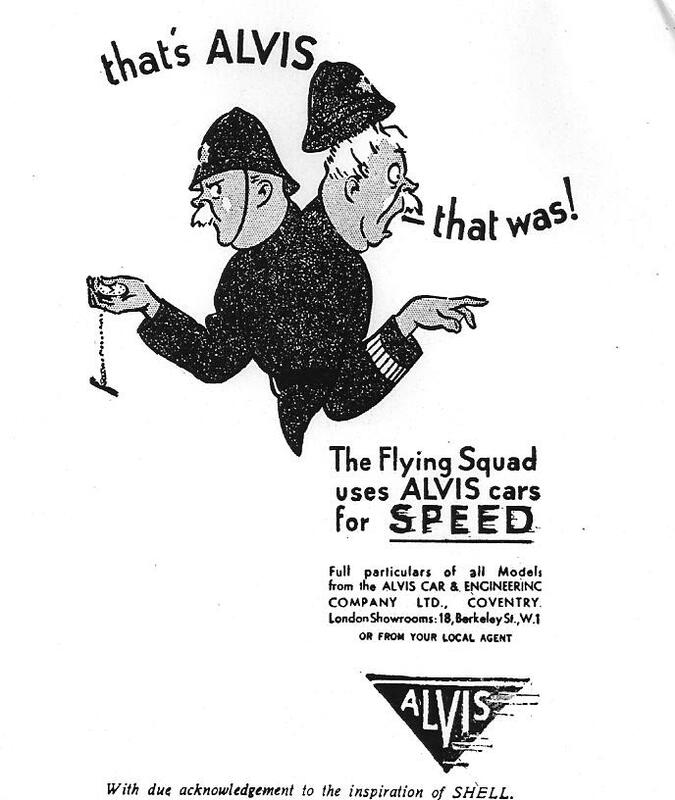 Mention ALVIS and the law in the same breath, and the most obvious connection that people will make is that of examples of the marque in use as Police cars. 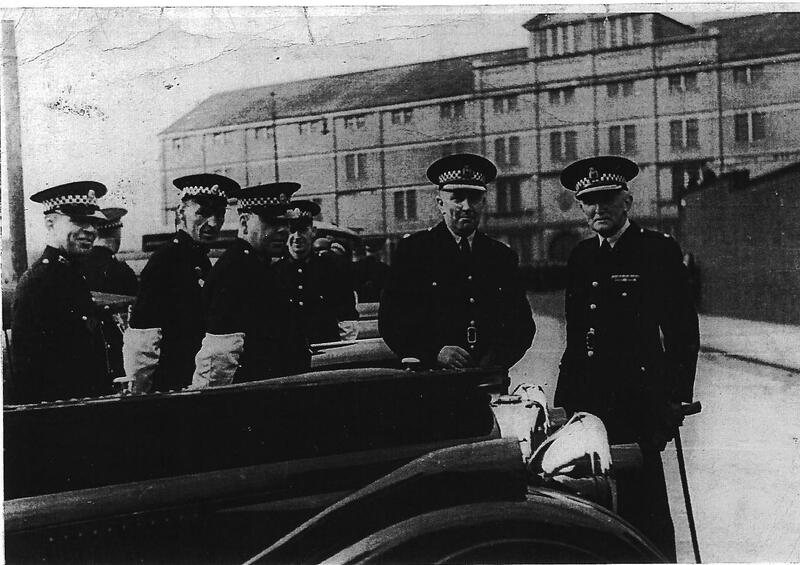 It is very true that substantially over one hundred such vehicles were supplied by the factory to County and County Borough forces over a period in excess of thirty years. 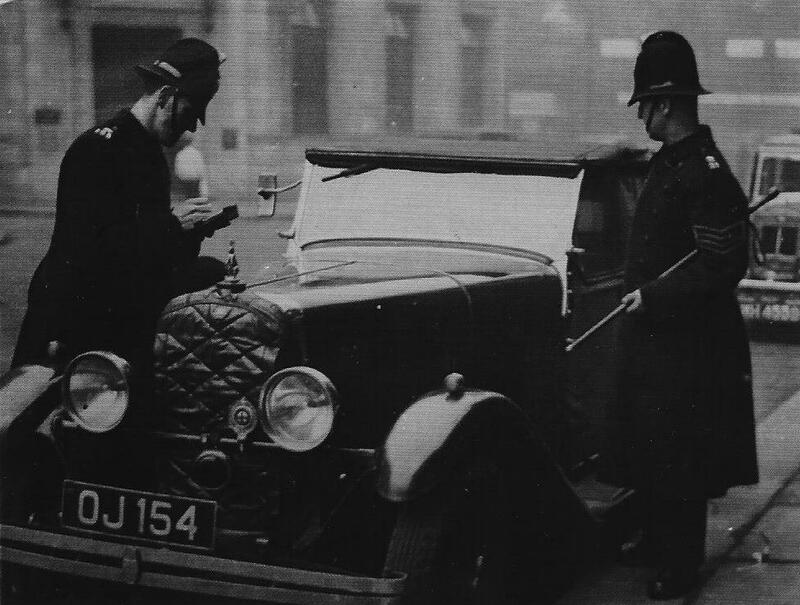 Sometimes this would take the form of a fleet of three or four cars (where there are well-known Glasgow and Edinburgh examples) but just as frequently it is a single patrol car supplied. It is an interesting area of study, as a result of which the list is constantly being added to. Part of an impressive Glasgow Force order for FIVE Speed 25 Tourers, CUS 5 (14671), 6 (14658), 7, 8 and 9. Sillitoe’s autobiography entitled “Cloak without Dagger” was published in 1955. There was also a biography by A. W. Cockerill published by W. H. Allen in 1975. (See also Postscript below). 12074 Speed 20 SC (YS 1036). After decommissing after the war it was taken to Venezuala where it was registered with a Mr Sideregts and last heard of around 1970 in Texas. Neither location would have been troubled by its petrol consumption. In this short feature though, I’ll look not only a few of the obvious connections (to mention them all would fill a magazine) but also where ALVIS has sadly figured allied with a perpetrator of crime, or a victim of it. The worst crime of all is that of murder, of which four examples are known in ALVIS terms. 13054 Speed 20 SD, BOV 463, outside the Onslow Court Hotel, Queen’s Gate London, probably the most infamous ALVIS car of all time. This poor image is the only one on file and came from Lesley Thomas photographing the Channel Five screening about Haigh on 12th April 2001. Has anyone the means or contacts of accessing the original source? 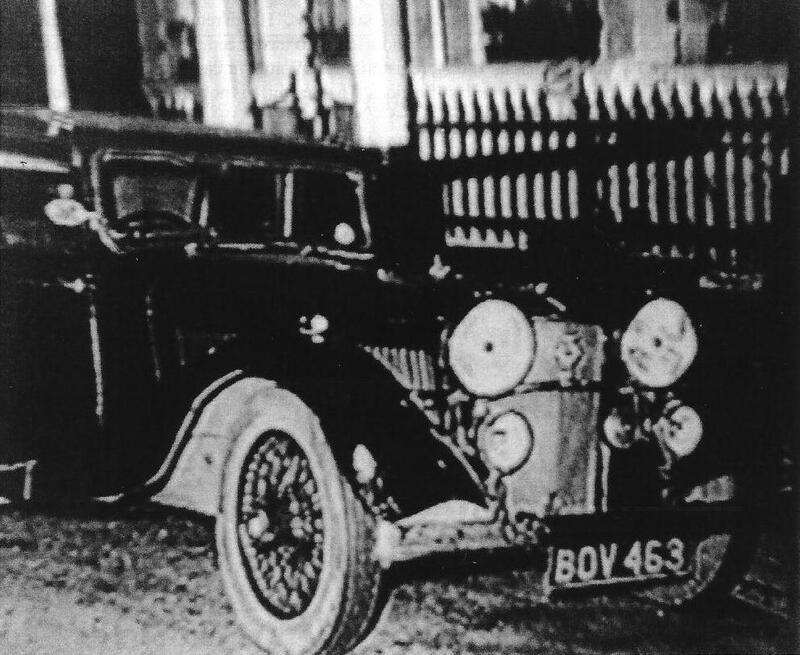 It was in this car that John George Haigh lured Olivia Durand Deacon on a visit to his Crawley workshop, there shooting her, and disposing of her remains in an acid bath. 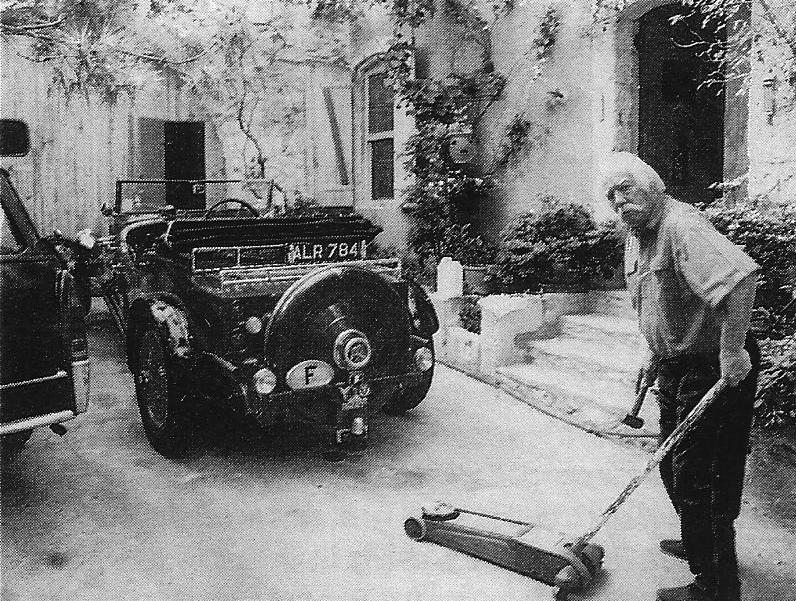 Two ALVIS owners who were the victims of murder were firstly Peter Black, a hugely influential and respected member of the Alvis fraternity. Peter had been a tank commander in World War II, and his wife Marrianne who pre-deceased him had been active in the French Resistance. It was always a delight to have a copy of Peter’s “World Alvis News” drop through the letterbox, being amusing and sometimes controversial reading. Peter sadly lost his life to an itinerant worker who had broken into the Chateau Vilbrequin in 1998. 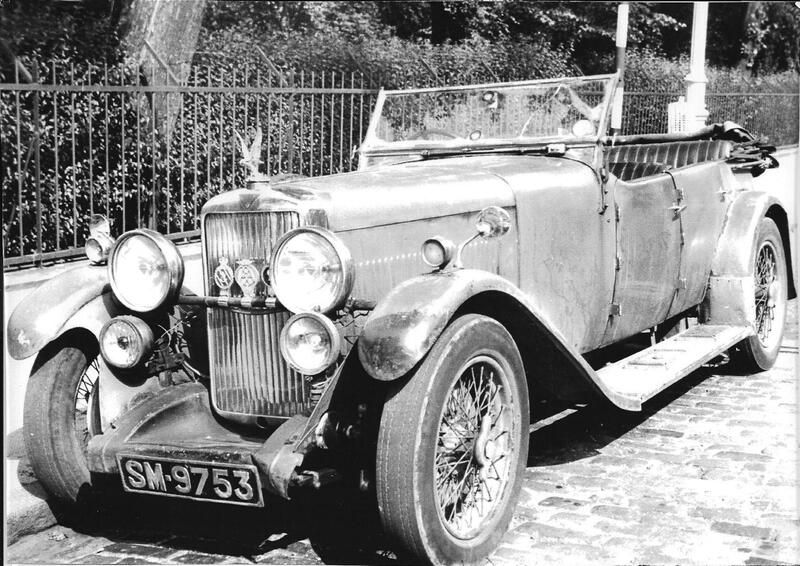 The other Alvis-owning victim (TD21 26730) was Baron von Pallandt: perhaps better-known as one half of the “Nina and Frederik” singing duo. Frederik was murdered (on the day after his sixtieth birthday) by pirates in the Phillipines in 1994, when they were in the process of stealing his boat. An unsolved murder connection dating from the same year relates to a phone call I received , as did Charles Mackonochie ) from the Dorset C.I.D. 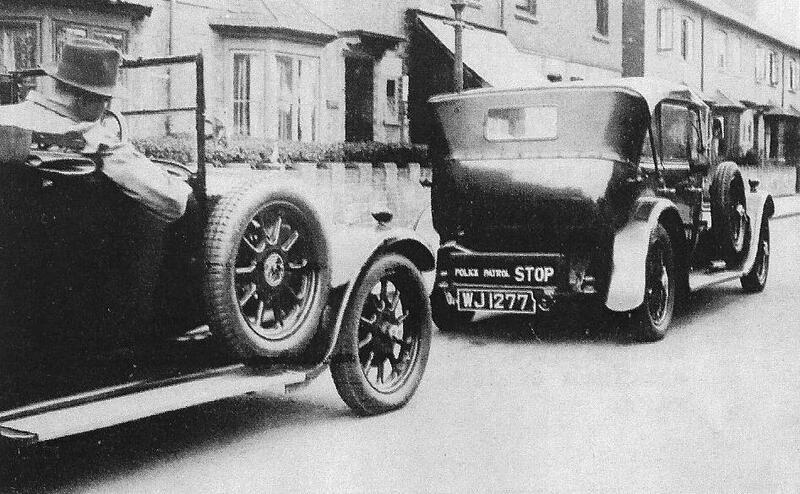 concerning an Alvis car seen at the location of a double murder in Bournemouth. 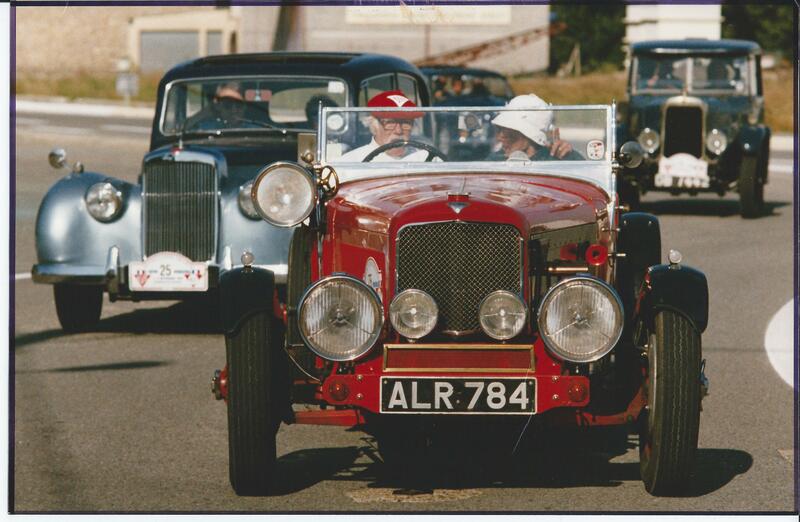 This resulted in our sending lists of all Alvis cars known in Dorset and the neighbouring counties to the C.I.D. Their letter of response some weeks later merely acknowledged that the input had “…. greatly assisted the Police with their enquiries “, but they were never to identify the actual car to us, saying only that it had been green. Not a murder, but a mysterious death related to a case discovered by Terry Popplewell, who had uncovered a serious accident whereby a newly-delivered Firefly patrol car subsequently established as 10540) had crashed into a wall in the early hours of July 22nd 1933, killing a young constable and severely injuring an inspector, who was driving. The written-off 10540 was replaced with another Firefly (11069 / FT 3320) by the Tynemouth Force. 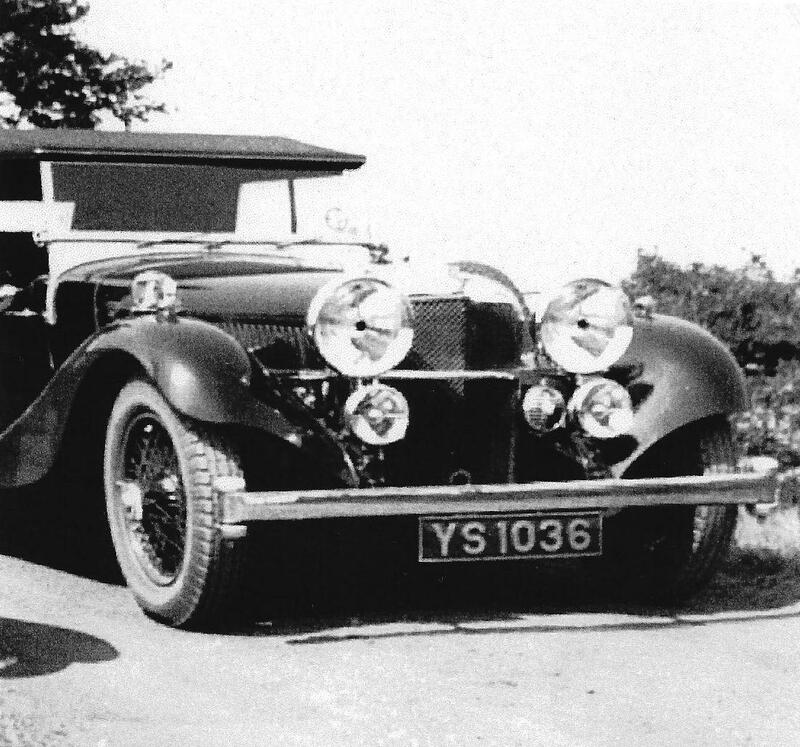 There is a murder story related to the ALVIS “Ace” experimental car, which some may recall was concocted during Smith-Clarke’s absence from the factory due to illness. This was chassis 9130, registered VC 9368, and the team involved were W.M. Dunn, Andrew Kemp, Len Bradley and Arthur Varney. GTSC canned it upon his return, but due to its considerable development costs it seems to have been used as a factory hack for many years, being last licenced in 1939 and documents withdrawn as late as October 1947. It has been established from other sources that the English officer most particularly implicated in this was one 0.T. (Oswald ) Rayner. O.T.R., whose official title was Barrister at Law, Foreign Office, and was multi-lingual. Intriguingly, I’ve managed to establish from a further source that 0.T.R., for his employers, translated parts of the Criminal Code of the U.S.S.R. Those parts included Section V, Sub-s 1, and relate to Murder. Stretching the point a little further, an Alvis tank was ordered from Russia, and a photograph in Ken Day’s book, page 154, shows a line-up of interesting personages involved, including Andrew Kemp, who had worked on the “Ace” Also credited is one D. Blair. One of that name is the last recorded owner of the “Ace”. O.T.R. was born just a few miles from the Ace’s last known location, and died in Botley, Hants in 2004. Mystery unsolved, but the fascination remains. Other ‘lawful’ associations, and not just confining ourselves to the Police, or indeed to the U.K. either, are too numerous to mention in full, but a few highlights worthy of mention must surely start with Judge RWH Davies, of Kemerton Grange, Tewkesbury who when taking up a position in India, took his sturdy TG 12/50 chassis 5051 with him, precipitating the writing of that remarkable book ” A Light Car Odyssey “. A similar path was trodden by Captain Eric Cato Nottingham M.C. another TG 12/50 owner, who after distinguished service during WWI, held various positions in the Nigerian Legal System, rising to become Deputy Commissioner. His interesting papers are lodged in the Bodleian Library. A TG 12/50 was also favoured by Lord Hailsham (Quentin Hogg M.P.) This was 7070, KX 1369, a most distinguished advocate and speaker. Jumping on quite a few years from this, we find Norman Birkett taking delivery of SB Speed Twenty VdP saloon 11805 / APP 639. Birkett was later to take a leading role in the prosecution of the Nuremburg Trials. In conclusion I will say that this review is not intended to be a definitive listing. I have tried to strike a balance between old and new material and will be pleased to hear from anyone with the remotest snippet related to this general theme of law enforcement. 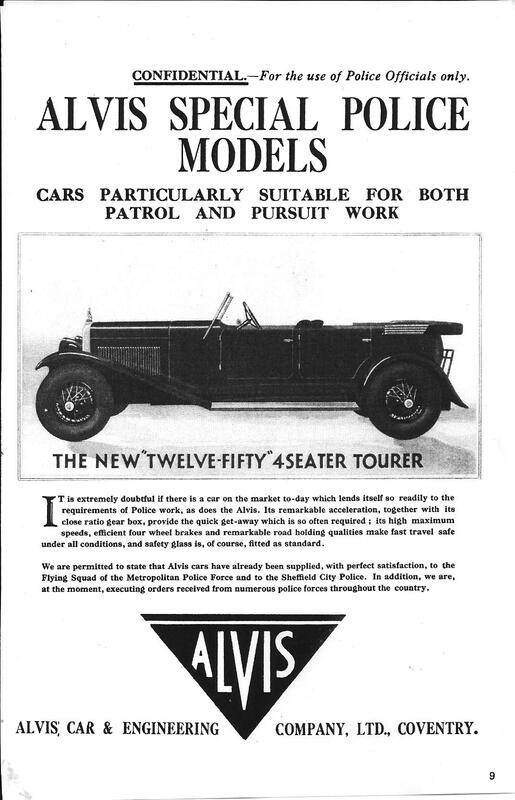 I would particularly like to have news of the last ALVIS car known to have been put into Police Service. This took place on February 21st 1962, with the supply of TD21 26734 / 3333 NE to the Manchester City Force. Where is it now? 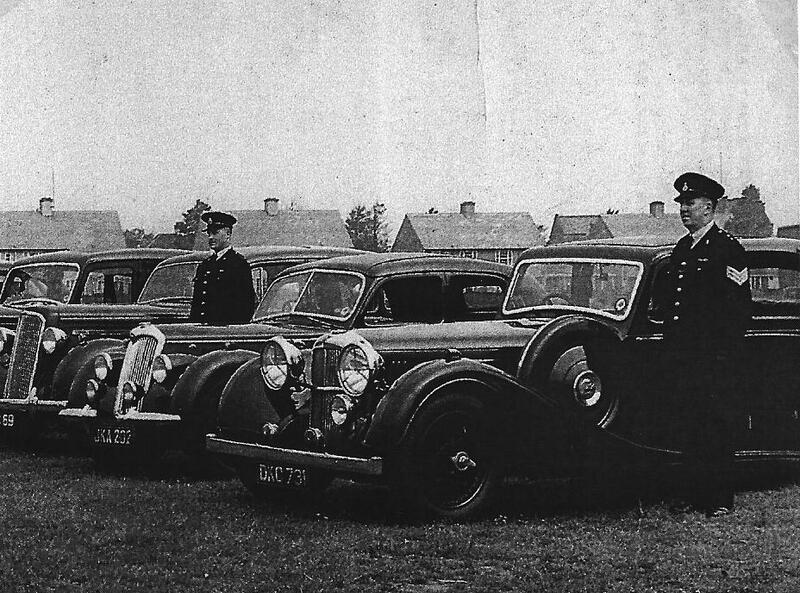 Here are two tales re the Alvis whilst on police advanced driving course’s. (Before my time I hasten to add!). 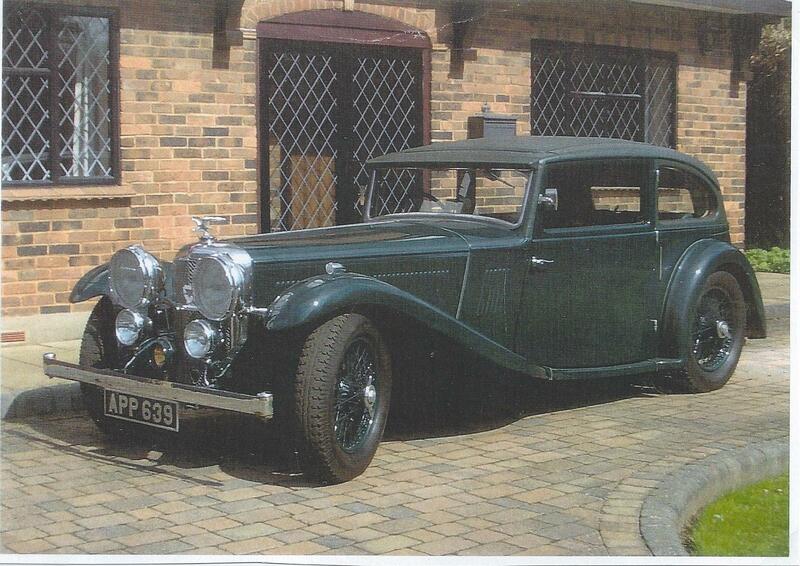 Now the Alvis, bought relatively cheaply, (? 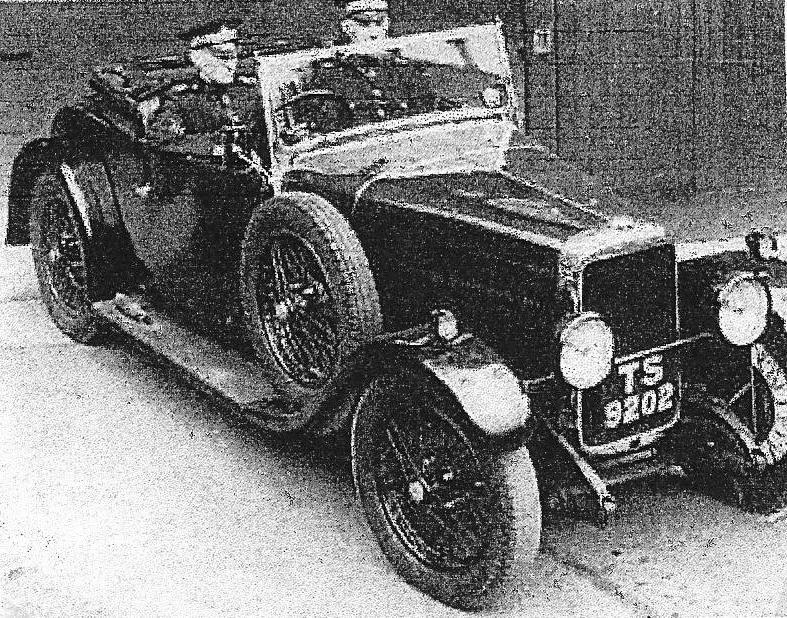 ), and the pride of the fleet, was an effort to gain the school some prestige as the Lancashire Constabulary had the old Bentley and Lagonda. It was a beautiful body built on an early fifties chassis and mechanicals, not overly powerful but good for speeds in excess of about 110mph A sergeant instructor tells the story that when he was out training he was doing a demonstration run at speed along the A50 near Knutsford when a tyre deflated suddenly. He controlled the car and examined the tyre. He discovered that it had been fitted with a new Dunlop RS5, (no radials then), however he clocked that the valve was for a tubeless tyre and sure enough all four tyres and spare had been fitted as tubeless! You don’t have to be a genius to realise that you don’t fit tubeless tyres on wire wheels! What is really good is that all the tyres had stayed inflated for about 20 miles. On an advanced course in January 1968, good gracious, fifty years ago, we hit a pheasant at speed and it took out the offside headlamp completely, together with the rim it was attached to (We had to take the pheasant back as proof). I still don’t know how they managed to get the rim back as it was an alloy body, but it was back on the road about three days later for the rest of the course. 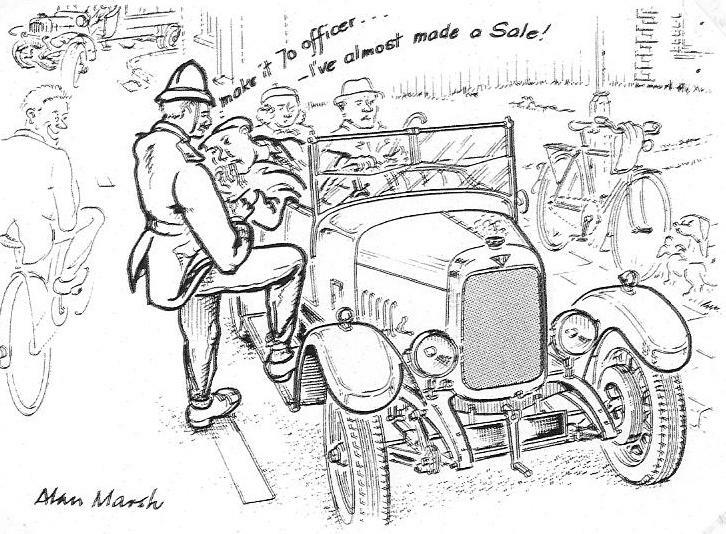 Retired Technical Illustrator Alan Marsh produced this quite delightful and pithy cartoon of an ALVIS speeding offence for the AOC Bulletin in 1991. N.B. “GLASGOW” photographs are by courtesy of the Glasgow Police Heritage Society. 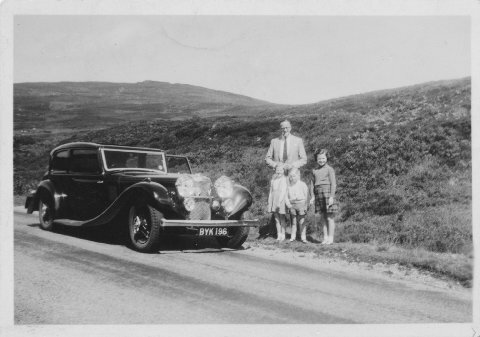 “….of great interest to me is that, when my parents married (Dad then had the Speed 20 I have sent pics of to you) they bought the house in Kilmacolm (1936) that I was later born (and christened) in from Sir Percy Sillitoe. A small world! Dad always joked that he did not pronounce his name as Sillytoe but Sillatoe, with emphasis on the “A”!